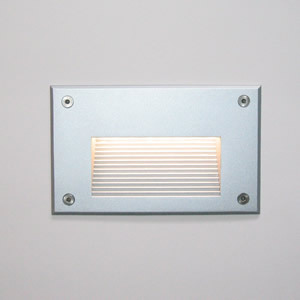 This horizontal wall mounted fitting is suitable for both interior and exterior applications where indirect lighting is required. It contains 24 superbright 5mm LEDs with a 60degree beam angle. It has a die cast aluminium body and 3mm tempered front glass. This robust fitting has a 240v input and comes complete with an ABS mounting box for easy installation. Ideal for hallways, stairways, exterior pathways as background or mood lighting.